Bob and Grace, a father-daughter duo in Denver, Colorado, are bringing a fresh perspective to real estate. Bob, a local custom home builder of 30 years, has immense knowledge of not only residential construction and renovation, but also Denver neighborhoods and properties. Grace brings a formal background in residential brokerage to the team, as well as substantial professional experience in sales and digital marketing – assets propelled by the proprietary technology and tools pioneered by Compass. With their combined expertise, Bob and Grace are committed to total client satisfaction. They believe the real estate transaction extends far beyond buying and selling property, thus offering significant value by providing market insight and critical design and improvement considerations as clients evaluate and undertake their projects. Throughout his career, Bob has worked alongside a highly respected group of architects, subcontractors, and design professionals, forging his identity as one of Denver's premier custom builders. These relationships will continue to serve the betterment of his clients in both construction and real estate sales. 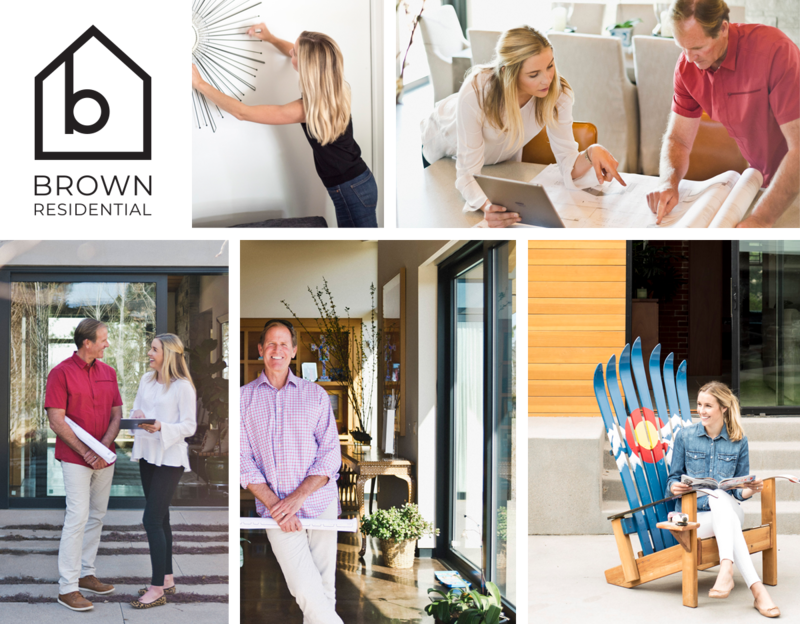 Maintaining ownership of RC Brown Construction, Bob looks forward to focusing on a few, specific custom projects each year in the Denver area, while also guiding clients through the transactions relating to their properties. Grace assists in client communication and project administration, strengthening her knowledge of construction practices and project budgeting. With the blending and evolution of their skillsets, Bob and Grace aim to be a single resource for clients across their real estate needs. Grace has had the privilege of witnessing her father build beautiful homes, much of her life. Growing up amongst blue prints and on job sites, this exposure solidified her love for thoughtful design and fueled her desire to immerse herself in Denver Real Estate. She takes pride in being a wealth of knowledge about Denver neighborhoods, happenings, schools and community. Grace grew up in Southeast Denver, attended Cherry Creek High School, and went on to obtain her Finance degree from the Leeds School of Business at the University of Colorado – Boulder. Bob and Grace are also immensely proud to be working with Compass. Compass is the fastest growing luxury-market real estate company globally and boasts a powerful end-to-end platform that supports the entire buying and selling workflow. Compass delivers an incomparable experience to both agents and clients all in service of the Compass mission: to help everyone find their place in the world. In Colorado, Compass operates in Denver, Boulder, Telluride and Aspen. Nationally, Compass has offices in all 20 of the top national markets, establishing themselves as the 3rd largest brokerage in America, and the largest independent brokerage in the country per Wall Street Journal Real Trends. Colorado holds a special place in the hearts of the Brown family. Bob and his wife can often be found on skiing in the high-country on any given winter weekend or hiking a 14er in the summer. They are kept always on their toes by their two sons, daughter-in-law, Grace, her husband and the anticipation of their first grand-child on her way.